More people than you might think are constantly searching for alternative methods to treat their health conditions. Maybe they believe a complete approach to health is more dependent on practicing preventive health care than reliance on circumstantial health care when one is ill. If you desire to work at lowering your high blood pressure the natural or holistic way, there are quite a few choices. Of course, never ignore signs that your medical condition(s) or health problem(s) is worsening, and always consult a doctor to be safe. If you feel your chest tightening or your heart has an irregular beat, go straight to the doctor’s office. Not all medical conditions are suitable for the holistic approach. Potassium is an important nutrient for the body, especially for the maintenance of healthy blood pressure. Everyone needs potassium as it placates the muscles, causing steady, undisturbed contractions. Potassium is also instrumental in removing waste from the body. If your blood pressure is in the higher number zone, potassium can help lower it, and if it is already where it should be potassium will help keep it there. Bananas are a great source of potassium. Magnesium has many essential roles, including: the storage, transfer and use of energy; protein, carbohydrate and fat metabolism; maintenance of normal cell membrane function; and the regulation of parathyroid hormone secretion. It also lowers blood pressure and heart beat, modulates blood vessel resistance, strengthens bones and facilitates a healthy immune system. You can find magnesium in a lot of foods such as fish, namely tuna and halibut; fruits such as artichokes and figs; whole grains—any foods made with whole wheat flour, brown rice or barley; prune juice; yogurt; nuts; and legumes. Garlic One of the more common nutrients that has received a lot of hype in the past for helping to lower and maintain optimum blood pressure levels. Garlic helps to lower cholesterol and has been proven to naturally lower high blood pressure. If garlic breath is an issue, try a garlic supplement. L-arginine is a little known amino acid that helps the body produce nitric acid. Nitric acid is conducive to lowering blood pressure. L-arginine can be found in meat, peanuts, soy and wheat products. Taken in moderation on a daily basis, L-arginine, which, like garlic comes in a supplement form, can reduce blood pressure and is also known to help lower cholesterol. The wonders of vinegar: Did you know that apple cider vinegar is one of the best nutritional products on the market for reducing high blood pressure? Apple cider vinegar is chock full of vitamins and nutrients that are considered helpful for lowering high blood pressure because it includes many vitamins such as A, B1, B2 & B6, C and E, in addition to potassium, magnesium, above, as useful natural nutrients for lowering and maintaining optimum blood pressure. Walking- Anyone who is just starting an exercise regimen can incorporate walking more into their activities of daily living. Anyone can walk around a little more, e.g., use the steps, walk during breaks at work, and to the television to change the channel or volume, perform simple chores more often like dusting and running the sweeper. 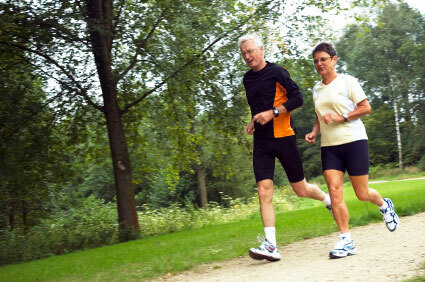 For a start, try walking at a brisk pace 30 minutes a day five days a week. Swimming- This low-impact activity encourages muscle use, thereby burning calories, and since the body is supported by the water, swimming provides a good workout without stress to limbs or muscles. Swimming is highly encouraged for those healthy enough to swim, as it is an optimal source for both exercise and blood pressure control. Yoga is an excellent exercise choice for those healthy enough to participate. It is a mind and body exercise that helps improve balance and mobility while building muscle strength. Yoga also helps to lower blood pressure. Pilates is also low impact, although a bit more strenuous than yoga. Pilates is for the person who wants to build core strength, flexibility and endurance. Much like yoga, the exercises consist of low repetition stretching and controlled movement, along with measured and timely breaths. Not only is Pilates excellent for a maintaining controlled blood pressure it also helps to alleviate back pain. Tai Chi, an ancient Chinese practice that has grown by leaps and bounds in popularity in the west these past few years, uses fluid body movements to strengthen muscles and relieve stress. Regular Tai Chi exercise will improve balance, posture, strength and flexibility and will assuredly help to lower blood pressure and improve heart health. Keep in mind that there is no one type of exercise better than the next. It is up to you and your doctor to determine what kind of physical program you are fit enough to try. The doctor’s advice is very important before choosing an exercise program that suits your needs and in evaluating its results for you.